The backbone of a successful property management business is strengthened by the quality of the properties managed. Our team entered the North Metro Denver property management business with a quality–versus–quantity approach to the business. While we could have a larger number of properties in our market area, we instead chose to create a company culture of superior customer service for our homeowner clients. This approach to providing a comprehensive package of homeowner services has allowed our business grow and prosper. You see, when we attract the very best properties by catering to our homeowner clients, they recommend us to others, and our inventory of Arvada, Boulder, Brighton, Broomfield, Commerce City, Denver, Erie, Firestone, Frederick, Lafayette, Longmont, Northglenn, Superior, Thornton, and Westminster rental property fine homes grows as well. 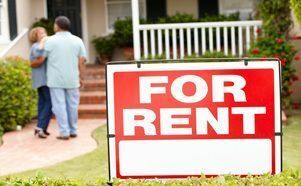 The best rental properties attract the best tenants. By serving these tenants well, they also recommend us, and more quality tenants are lined up waiting for our rental homes. A major component of cost reduction in rental property ownership is the avoidance of damage and non–payment of rent. Thorough tenant screening, including interviews and a comprehensive application process, is how RE/MAX Alliance reduces our homeowner costs in the North Metro Denver area. Learn more about our tenant screening process here. You’re reading this on our primary marketing platform, our website. However, there’s a comprehensive package of marketing media we provide for our homeowner clients. Learn more about our North Metro Denver rental property marketing here. Property repair and maintenance improperly handled can not only increase rental property costs, but it also can negatively impact resale when the investment is retired. Learn more about our North Metro Denver area rental property maintenance procedures. Once a tenant is in place, unit vacancy costs can be substantially lower if they renew their lease. That’s far more likely to happen if the tenant is happy with the property and the service they received while living there. Our team strives to make tenant satisfaction a high priority, and we know it’s working when they bring us other tenants as referrals. However, our obligation to our landlords is just as high of a priority. Our procedures for collection of rent, remittance to owners, and accounting for all income and expenses are detailed and result in efficiency and lower risks for real estate owners in the North Metro Denver area. Learn more here about our rent & tenant policies.